This isn’t the face of a military man. This isn’t the face of an oppressor. This isn’t the face of a politician. This is the face of a Rabbi. The face of a Jew. And tragically today, a murdered Jew. I did not know Rabbi Moshe Twersky, but since I know that everyone is flawed, I am fairly certain he was as well. Despite whatever flaws he may have had, if the enemy was truly only fighting what they consider to be oppression and occupation, this would not be the face of their enemy. What this is, is the face of a Jew. Whenever something horrific takes place along the lines of today’s terror attack in Jerusalem, I try to find a different angle. Every normal human being is saddened, angered and horrified by what took place. To write about those feelings would certainly be appropriate, but it has been and will be done by so many others, and rightly so, that for me to write something today I needed to feel something more specific, more personal. That happened as soon as I saw the picture of Rabbi Twersky. In 1940 when the Nazis invaded Holland, my mother had what would be considered the face of a Jew. I partially based the title of the book I wrote about what my parents experienced during the occupation on the fact that the Germans identified what they saw as a Jew and murdered them. It’s very simple albeit tragic and frightening. This is not about an occupation, oppression, naval blockades, land grabs or the building of settlements. This is about the hatred of Jews. This is reminiscent of the hatred and murderous ways of Hitler’s Nazis. The term “two state solution” is just another way of saying “final solution”. In Amsterdam in 1940 the typical face of a Jew was my mother, with her dark hair and dark complexion. 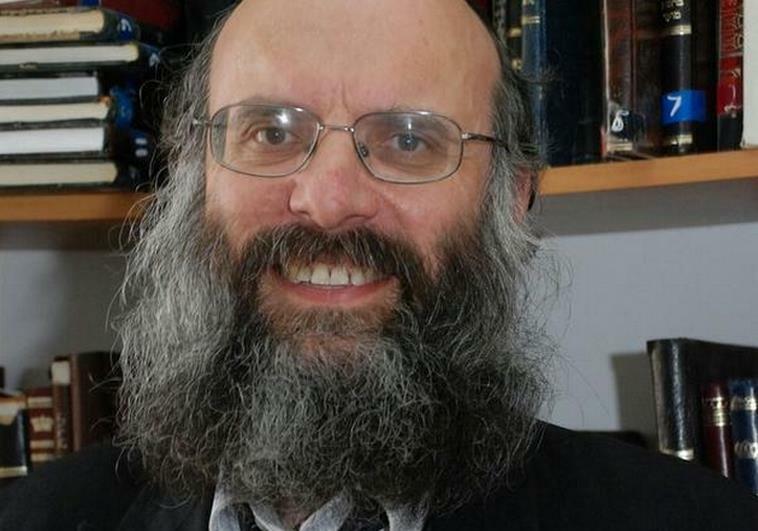 In 2014 Jerusalem, Rabbi Moshe Twersky is not the face of a soldier, an oppressor or a politician. He is the face of a Jew. The enemy’s purpose, their goal is not to live peacefully together with Jews. Their purpose and goal is to not only rid Israel of Jews, but to rid the entire world of Jews. In that way they are exactly like the Nazis. Don’t tell me this is about occupation, oppression or land grabs and then storm a place of worship and brutally murder 4 Rabbis. Rabbi Aryeh Kopinsky, 43, Rabbi Avraham Shmuel Goldberg, 68, and Rabbi Calman Levine, 55, and the man in the picture Rabbi Moshe Twersky, 59. Take a look at the face of this man and recognize the truth. This is not about helping innocent Palestinians or living in peace. This is about killing Jews, and Never Again is here.